Note about my posts, not looking for your money! 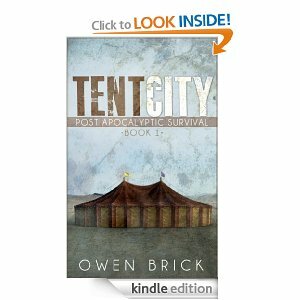 I like to post books I find on Amazon that are free for anyone who wishes to ‘buy’ them. Now I have always known html and coding and wondered what I was doing wrong on wordpress that I couldn’t get my links right. Well, Amazon has this program that if you use their widget, and someone clicks on the image of the book, I’d get paid for each click. That is so not what I am about so I am going to keep going the way I have been. I’ll post the picture but you’ll need to click on the link below it to go to the book on Amazon’s website. I’m nothing a bout money! And all about proving others with free ebooks, book reviews and helping authors get reviews for their books. Okay, I feel better. I am disabled and I cannot earn a profit. That’s why when I go to publish my own books, they’ll be free. I get two emails from two different parties that give me some free ebooks or low cost and I laugh when the rare moment comes when we choose the same title. Rare but it happens. So today is Wednesday. Put the garbage out. I am not a reheated meat person. It tastes different to me, not to be wasteful but me and my younger son seem to be the only one’s in our household aware of this taste. I’d rather have a PB&J sandwich thank you very much. Today was also the day my younger son’s school allows us to visit for lunch and browse their Book Fair. We got some good books for both my boys, two bookmarks, a huge pencil, a poster of a red sports car (Hint: Italian), and a bracelet. The little things were impulse buys from my son. We got a book for his class too from their wishlist, the same title my younger son chose and seemed to like. NOTE: PLEASE CLICK ON LINK BELOW PICTURE! CLICKING THE PICTURE WILL BRING YOU TO JUST THE PICTURE. HELP AN AUTHOR WITH A REVIEW, FREE BOOK, WRITE A REVIEW! If you were one of the folks who downloaded ‘Pieces’ first off, thank you! Excited with the support so far! Also, a little fyi. I updated the formatting of the book and re-uploaded it to Amazon. So if you want to, feel free to delete the version of ‘Pieces’ you downloaded and download again! I just want you all to have the best quality version possible! It will STILL be free to download from Wednesday September 25 through Friday September 27. Thanks and enjoy! The pilot episode of Pieces begins the story of Samuel Leo, a resident doctor who slowly gets pulled away from everything he thought was normal and forced to stare unavoidable change in the face–and watch it in turn, change him. 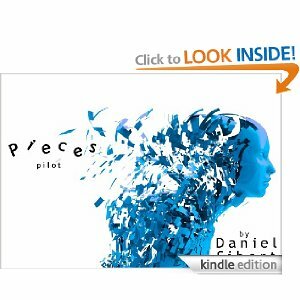 Pieces is a unique serialized series that follows in the footsteps of scripted TV serials by introducing ‘seasons’ rather than books. Each ‘season’ will consist of 10-15 episodes ranging from 30-45 pages with–depending on reader interest–the potential for some to become super-sized episodes. But there is, Tent City. The place most people are born in. So for them, it’s home and reality. There are a few simple rules: earn some money, survive, and make sure you have your Identification Card when the Protectors come check. Brad Glee was born in Tent City. His daughter Jasmine, is sick. And the last thing you want in Tent City is to be sick. So to make serious money, Brad ventures into the underworld of illegal fighting. Not any fighting. This is Tent City fighting. What is it like to be damned? Arturus knows. Born in Hell, Arturus has never had the chance to meet his creator or seek redemption; but that doesn’t mean he has no destiny. He lives near the village of Harpsborough, whose people have torn a moment of peace from the unwilling claws of damnation—and damnation wants it back. Future omens are poor. Infidels roam the wilds, devils are amassing, and the very stones of Hell themselves have begun to break apart. But even while they fight damnation, Arturus and the hunters of Harpsborough find themselves facing off against traitors from amongst their own ranks and a people they thought they’d left far behind. 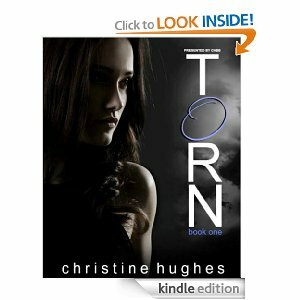 TORN With the sudden, mysterious death of her father, Samantha discovers her life isn’t what it seems. Not only isn’t she the normal teenage girl she thought she was, Sam must now take her father’s place in the fight between two groups of fallen angels, the Faithful and the Exiled, in a race to save humanity. In addition to dealing with a devastating betrayal—and having feelings for someone she’s forbidden to love—Sam must also fight the growing darkness within her as she struggles to make a choice between fighting alongside the Faithful or succumbing to the temptation of the Exiled. Both sides require sacrifices Sam isn’t sure she can make. 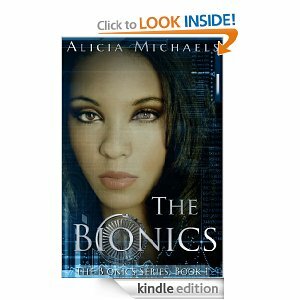 A group of female humanoid aliens chance upon the grey, sterilized world of a dystopian Earth, on a desperate search for the ‘missing element’ from their people’s psyche. Will they find it in their adventures with these fascinating creatures called humans? And will the earth-men give in to these tantalizing beings: submitting to their desires? On this planet,Somehow Darrell is unsatisfied with his tedious full-time job working for someone else, just to pay to keep living in a flatpod he does not necessarily like; as the holo-TV shows keep playing on dystopian future Earth. His relationship with his girlfriend, Linda, begins to show the strain of a life led without true feeling. But Darrell does not even begin considering that change is possible, until a number of chance events begin to lead him out of his comfort zone, and into a passionate, sensual adventure of escape, exploration, and finally…discovery. This book contains sensual scenes intended for adult readers. Digital List Price: $1.49 What’s this? 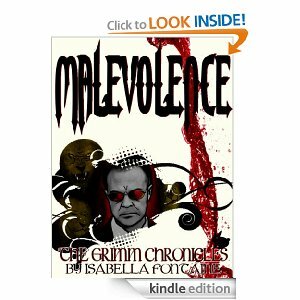 The Malevolence has been biding its time inside Castle Vontescue, but now Alice must finally confront it. The very same evil force that brought the Grimms’ fairy tales to life now threatens the hero and all she holds dear. No one is safe in the darkness. But what, exactly, is this centuries-old creature? To find that out, Br’er Rabbit will have to use all of his wits and decode a series of clues before time runs out. Meanwhile, Alice must keep her friends close and fight through her numerous injuries if she hopes to stop the evil. But nothing is certain. Alice’s body is breaking down. 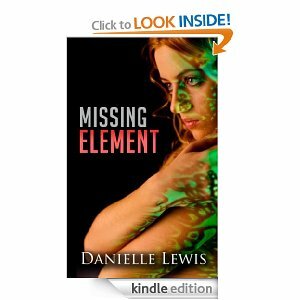 Her loved ones are in constant danger. 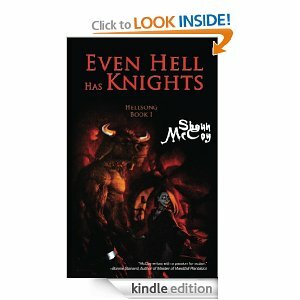 There is no escape now … soon, she must face off against the ancient evil that lurks within Castle Vontescue. 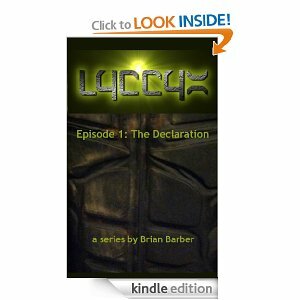 Don’t miss an Amazon Top 10 in military science fiction and Top 100 in Dystopian and Action Adventure, LYCCYX Episode 1: The Declaration. The year is 2065. Earth is overpopulated and our resources, spent. Our last hope is to colonize the moon. Called the Haven Project – an experiment designed to transform the lunar grit into a rich oasis. Unfortunately, in our haste to create a new world we created our worst enemy – LYCCYX. Join Captain Luke Xander on the adventure of a lifetime as he attempts to bring the cure to the infected who now believe themselves to be the next evolution of mankind. 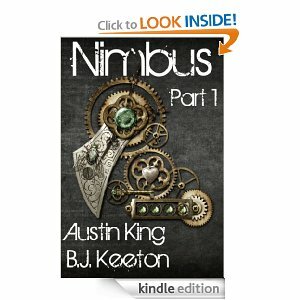 NIMBUS is a steampunk novel for people who don’t know they like steampunk! This is the first volume in a complete, four-part steampunk fantasy serial that came out of the authors’ desire to do something new and interesting with ebook technology, while also dealing with a wide variety of narrative goodies–from airships to demon possession. Seedy corporations and airship factions, demons and rogues, zealots and thieves…an epic tale of power, greed, and corruption. Jude Finley is a new recruit aboard the Gangly Dirigible, an airship that extracts water from rainclouds. Having only lived above the Skyline for a year, Jude is still getting used to the way things work in the world above the clouds. While working aboard the airship, Jude and his friends uncover a secret which may or may not help them against a growing uprising that could spell doom for everyone on the planet. Meanwhile, Demetrius Rucca, wheelchair-bound son of a prominent religious leader, begins recruiting followers for his own subversive cause. As allegiances are sworn to him and his followers grow, he begins to discover the new powers that lie within him. This power could be the salvation Demetrius is looking for–or it could be the destruction of the known world. Next: Thursdays Mixed Genre of Books! It’s hard being a kid & a review! Thank you for your great words of wisdom and sharing your thoughts with me. I’ve had foot surgery and that was no fun. I had a c-section, emergency with my 2nd son, cord was around his neck and then the next week I was hospitalized with a ‘you’re supposed to be dead’ fever. “How is she alive” is what I heard lots though I was seriously out of it. My ex husband thought nothing of it saying in his defense, he was thinking in C terms and not F terms. My mom got me to the hospital where so many specialists came in to try to figure out what was wrong with me, what was causing such a fever that it was frying my brain. After this ice blanket they put me on, to which I remember that I felt no coldness at all, they did surgery and found out my left ureter, the tube from my kidney to bladder was closed. They put in this thin, tiny, blue tubing that was hell. After I woke up, I am still wondering who gave permission for this atrocious thing they put in my body. Sure, great, it did save my life but the life I had after was so painful. I wanted to rip it out so badly and I begged daily for anyone to take it out. When they did, I never imagined HOW it got in and HOW they were getting it out but it was not pleasant. I thought cataract surgery was fascinating. Until they did the little laser thing weeks afterwards that give me floaty things that give me headaches daily. You are a very amazing and strong person. I am glad there are people in this world like you. You give me strength in sharing your words with me and I am grateful for each and every word you wrote. I had very bad post partem depression after my first child and had several rounds of ECT and my family has loads of memories I no longer have (they were shocked/burned out in the process). My depression is managed by meds I take and I am glad to have found what works for me. I wish I could have saved my dad from hanging himself so long ago, but back then, we had no idea at all about the depths and deception that is ‘depression’.